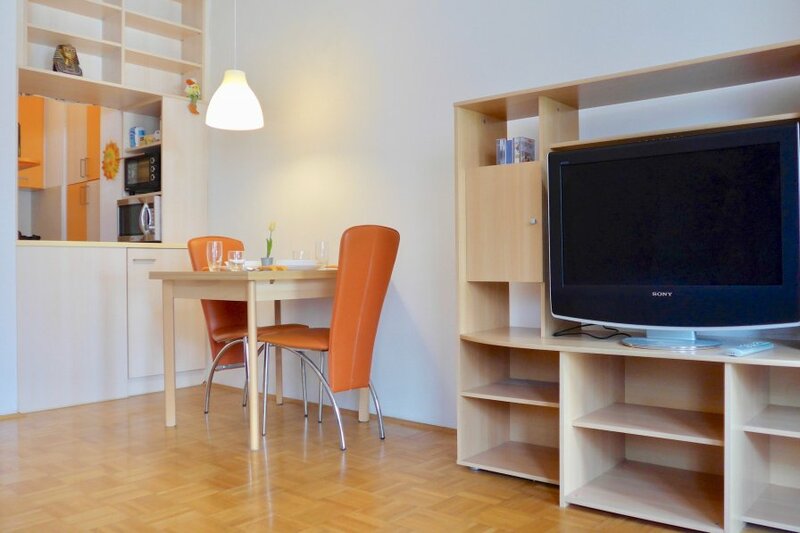 This 1 bedroom apartment is located in Ljubljana Center and sleeps 3 people. It has WiFi, garage and parking nearby. This modern studio is fully equipped and can welcome 3 people. It has big windows that let Natural light in the apartment. The Balcony is absolutely amazing for hot nights. The desk is near a window which makes working extremely pleasant. If you want to feel in the middle of Nature but in the city center, this is the perfect place for you. The Bathroom is modern and fully equipped, the kitchen is small but extremely functional and easy to use. Parking in the Underground Garage. Bike storage is located in the Basement.